Join me tonight at 9PM as I discuss the life and legacy of Anténor Firmin, father of Panafricanism, with guest Dr. Célucien Joseph. Listen live at http://www.blogtalkradio.com/belize/2015/01/31/legacy-of-1804-on-antnor-firmin-with-dr-clucien-joseph-lof1804 or on the phone at 646-716-8541. You can listen to past shows on iTunees by searching keywords 'Legacy of 1804'. Past shows are also available at http://www.kiskeacity.com/search/label/LOF1804. Join me tonight to go over the latest Haiti News with co-host Hans Roy. If you have been confused by the Parliamentary crisis in Haiti, you will hopefully be less confused after this show as we plan to break it down. 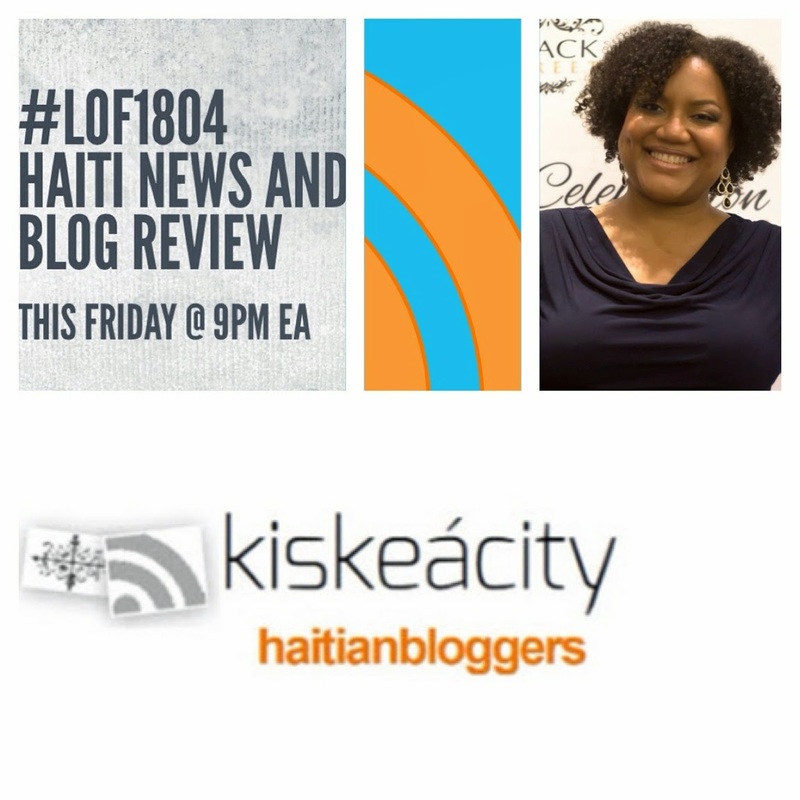 Listen at http://www.blogtalkradio.com/pancaribbean/2015/01/24/legacy-of-1804-haiti-news-blog-review-lof1804 or (714) 242-6119. Use the hashtag #LOF1804 to interact. Join me tonight as Marian Douglas-Ungaro﻿ joins us to discuss the International Decade of People of African Descent, the United Nations in Haiti and topics related to Afrodescendants. Marian Douglas-Ungaro is a Black American woman writer and "semi-public Intellectual." A native of Washington, DC, she is a broadcast journalist and international consultant in elections and human rights who has worked in international CIVILIAN (NON-military) election and human rights missions in countries in the Americas (including Haiti) and also in former Yugoslavia. She is the founder of AFROAMERICAS, a 501(c)3 non-profit organisation working for real recognition, justice, and grassroots development for the Afrodescendant People of the Americas. Currently focused on implementing, observing, and celebrating the International Decade for People of African Descent, 2015-2024. She speaks and works in five (5) languages. 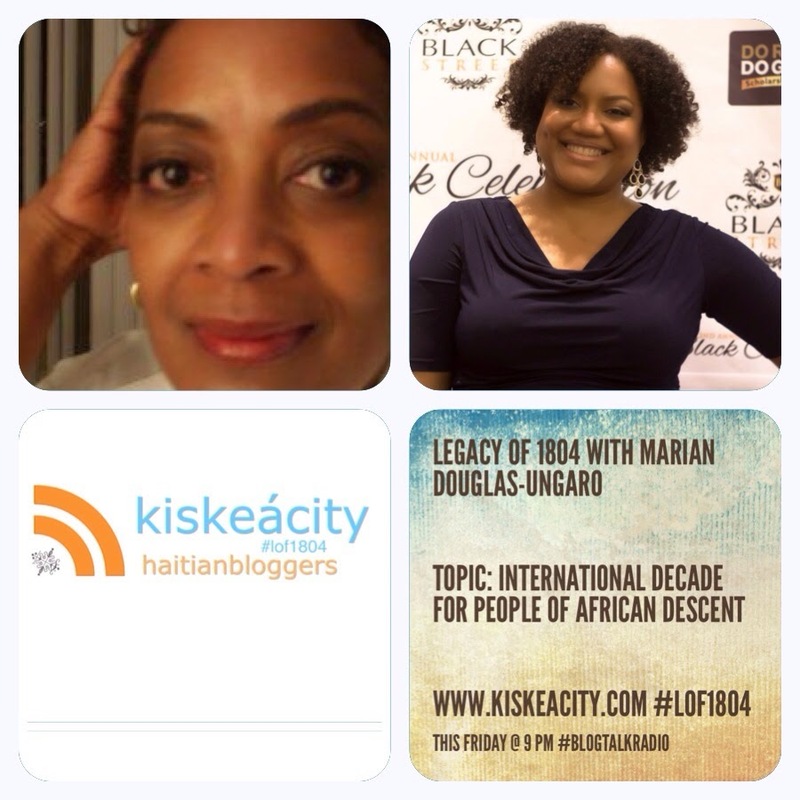 Listen live at http://www.blogtalkradio.com/pancaribbean/2015/01/17/legacy-of-1804-with-marian-douglas-ungaro-afroamericas-lof1804 or at 714-242-6119 (live only). Please note that this call-in number is new and that the old one will no longer work. We also discussed the contradiction between the United Nations blue helmets' human rights abuses and negligence in Haiti and elsewhere and its International Decade for People African Descent. Check the #LOF1804 hashtag for some live tweeting. 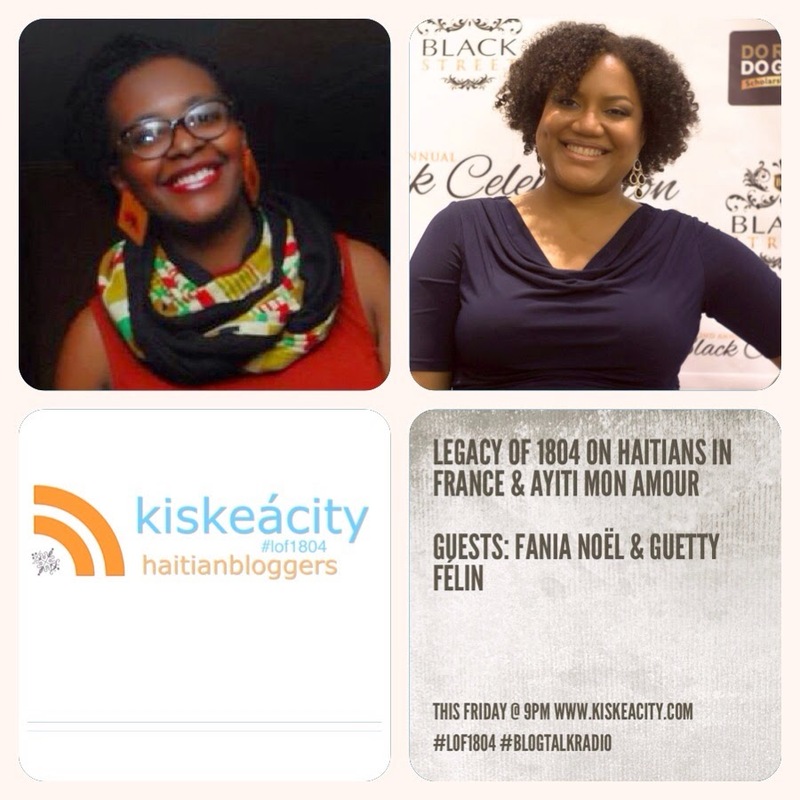 Join me tonight at 9PM as I discuss the Haitian community in France with Paris-based activist Fania Noel. Fania Noel is currently the Director of Republique et Diversite, an anti-discrimination think tank in Paris. She just spent a few months on sabbatical in New York to do research towards a PhD in sociology on the links between race, gender, class and sexuality. During that time she was also in residence at Haiti Cultural Exchange. The 27 year old has two Haitian parents and defines herself as a Parisiano-Afro-Haitian rather than as Franco-Haitian. Though she is a French and Haitian dual citizen, she identifies more with Paris and its Afro-Caribbean community than as French. She holds degrees in political science and sociology from Université Panthéon-Sorbonne. 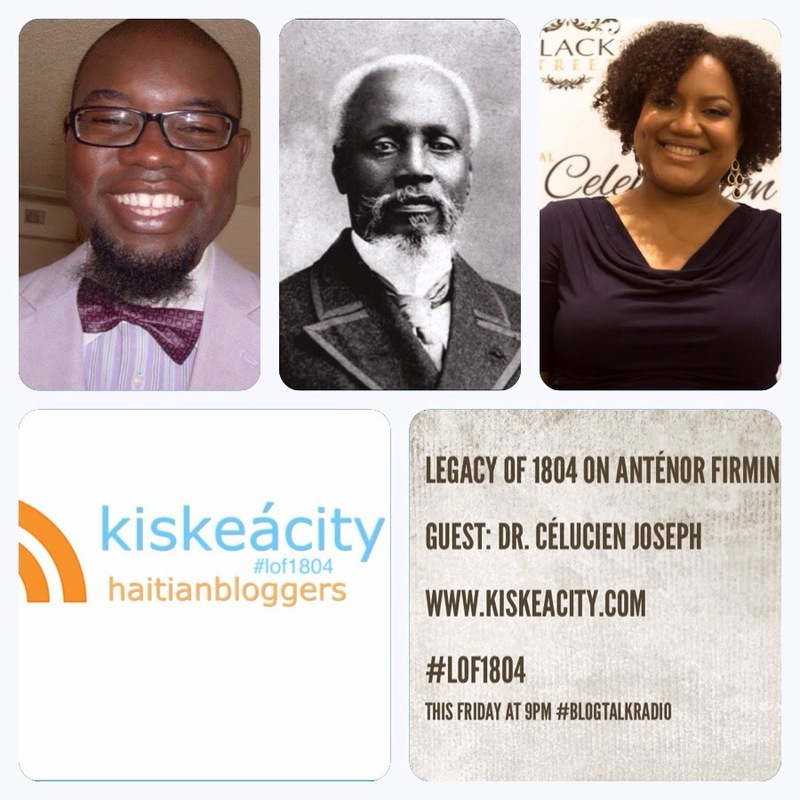 Listen live or archived at http://www.blogtalkradio.com/pancaribbean/2015/01/03/legacy-of-1804-on-haitians-living-in-france-lof1804 or 714-242-6119 (live only). Please note that this call-in number is new and that the old one will no longer work. Among other topics we discussed the implications of the French state's color-blindedness and what the term racism does and does not mean. Filmmaker Guetty Felin joined us about half-way through and stayed about 15 minutes.